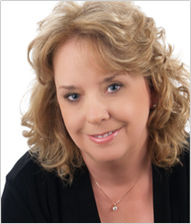 Dr. Borden is a Licensed Clinical Psychologist practicing in McKinney, TX. She believes God has a purpose for every individual and has created each one of us to enjoy life to the fullest. When events and circumstances impede progress toward fulfillment of our purpose, healing and restoration in mind, body, and spirit can be required. Needing care in any one of these areas often affects all other areas, including the one area that so greatly impacts happiness and fulfillment; our relationships with others. With the goal of wholeness in all areas, a thorough evaluation of mental health results in comprehensive treatment and the ability to find purpose once again. Dr. Borden’s warmth, compassion, and comfortable office provide an inviting setting to reach that goal. A free initial consultation will help you determine if this is the right therapy fit for your needs, without obligation or cost. If you’re ready to find restoration toward wholeness, contact us here to begin your journey. Have feedback for Doctor Connie while she's on the air? Email her at feedback@doctorconnie.com. Copyright © 2006-2015, Borden Psychological Services, P.A. All Rights Reserved.